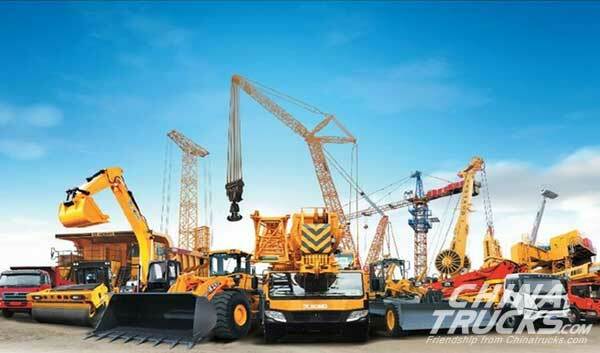 XCMG, the world's leading construction machinery manufacturer, has seen its earnings almost quadruple over the last year as the global economic recovery continued, and infrastructure investment in China increased demand for equipment including excavators, loaders and forklift trucks. The company, China's biggest exporter of construction machinery, is predicting solid growth in 2018 on the back of continued improvement in global markets despite rising trade friction between the United States and China. For 2017, net profit surged 389.31% to RMB 1.02billion, up from RMB 208.6million the previous year, far outpacing the revenue growth of 72.46% that the company said in its previous annual report. In 2018, XCMG forecasts sales of RMB36.8 billion, representing year-on-year growth of 26.3%. "Although rising protectionism and increasing Sino-U.S. friction casts a cloud over the global economy, the trend of globalization is irreversible, enabling XCMG to continue its global expansion," said Wang Min the President of XCMG. "In the domestic market, we will leverage our strength in product quality and sales channels to expand market share, and we will seek to become a 'smart manufacturer' by investing in technology and in our people." Chinese construction machinery makers are benefiting from a recovery following a five-year downcycle, in 2011-2016, that saw the industry shrink by two-thirds from its peak. In 2017, China's infrastructure investment accelerated while the economy stabilized, giving the industry a boost. Although XCMG's stellar performance last year was aided by industry consolidation that strengthened the company's market position, the bright spot is its strong overseas growth. In 2017, XCMG become China's biggest exporter of construction machinery to the Asia-Pacific region, with sales jumping 71%. Meanwhile, exports to eight countries in South America grew 1.6 times while localization took root in the continent, and the company began conducting R&D on excavators locally. In Europe, XCMG's crane products were popular in Germany. XCMG's overseas sales will continue to benefit from China's Belt & Road Initiative which is boosting infrastructure investment in regions along the modern "Silk Road" linking China with Eurasian countries. XCMG will continue to expand its global market share by targeting key regions, stepping up investment in global research and services, and seeking breakthroughs in top-end markets in Europe and North America.